Hi there. I’m the Ballet Hound. Very graceful, very clueless. I truly adore all things fall and Halloween ranks highly for me (you can see why based on the above photo). Plus, it’s the quintessential example of a holiday that can be enjoyed on the cheap. The pumpkins! They’re on me! There are incredible statistics on the magnitude of money people spend on this little holiday and, as a frugal weirdo who celebrates any and all possible holidays, it gives me pause. In America, there’s a compulsion to, well, kinda overdo it. Every holiday has morphed into a marketing dream with predictable consumer nightmares. There’s competition to have the best decorated house, the greatest costumes, and the largest candy bars to hand out. Not to mention the costly haunted houses, hay rides, and corn mazes. But why? And to what end? Not sure about these leg-warmers, humans. I suppose I harken to a simpler time, but, I fail to see what’s wrong with trick-or-treating in homemade costumes and drinking hot cocoa at home afterwards with your family. Please don’t misunderstand, this is not an anti-Halloween rant, this is instead a pro-Halloween woot/plea for reveling in this holiday, and all holidays, rationally and frugally. I find that holidays, and especially poor ol’ Halloween, are often characterized as a one or the other proposition: 1) you spend a ton of money and don’t worry about it because it’s a holiday, or, 2) you’re a miserly grinch who refuses to celebrate. But there is a third way! 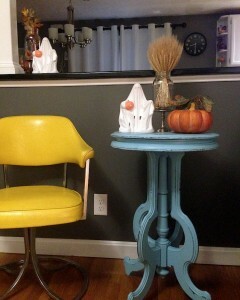 Tonya at Budget and the Beach coined the term Frugalween, which I love! It is possible to partake in the simple pleasures of Halloween without spending a dime. More than just tips and tricks for discount costumes and budget decor, I think it’s a mindset. Mr. Frugalwoods and I don’t approach every holiday or event as a spending opportunity. We approach them as fun things to do together–for us, it’s all about the experience. This year at the Frugalwoods home, Frugal Hound has a free costume of scavenged stuff from around the house (basically my clothes and ballet gear), Mr. Frugalwoods & I will be “prairie folks” since he already has a beard and flannel shirt and I have a floral skirt + long braid, we decorated with hand-me-down pumpkins and ghosts, and tonight we’ll distribute Costco-purchased treats to kiddos. Perfect, cozy, simple, frugal. 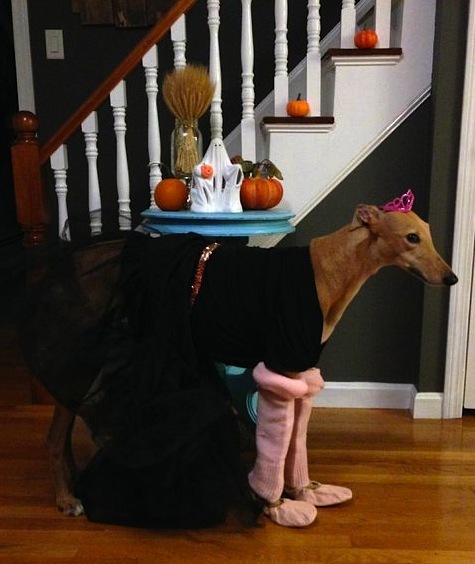 With a dash of greyhound costuming thrown in. I conjured up the scariest thing imaginable for our Grumble today…. spending above your means! AHHHHH! Leads to debt, rampant disappointment, inability to appreciate what you have, continual hedonic adaptation, and a permanent ride on the dreaded carousel of consumerism. Nooooooo! Anything but that!!!! What’s the scariest finance thing you can think of? Or, if it’s too terrifying, how are you celebrating Halloween? Before turning to the assignment, the costume is THE MOST AMAZING THING EVER. EVER. The scariest financial thing I can think of is having a huge financial problem, and being too scared to (a) face it and (b) begin to tackle it. I know because I’ve been there, done that. Haha, thank you!!! That’s definitely a scary financial predicament. I think avoiding or denying the problem is a fairly common coping mechanism, but it’s not a good one! Your dog looks so mortified in all those pics….LOVE IT! She was totally mortified! But so cute. I cannot believe FH let you put her in leg warmers and ballet shoes. I tried putting a cape on one of my cats this morning… I didn’t get any pictures before he wrangled out of it. I have to agree with DebtFreeJD – just living on autopilot, like nothing is wrong is pretty damn scary! Cape Cat! Cats are so independent and, well, smart. Frugal Hound just stands there while we take the photos. She’s a very patient girl. So stinking cute! I love it 🙂 And for me the scariest thing I can think of financially is someone going to professional school (med school or law school) and NOT finishing their degree or becoming licensed. Because you really can’t discharge your debt in bankruptcy, you are stuck with it forever. Not having a high income and having that kind of massive debt is the scariest financial thing I can thing of. Thankfully, I’m not in that situation! That’s a very scary one! Sort of the worst of both worlds then–you’re saddled with the debt but don’t have the earning power of the actual degree. Eek! #1) Halloween Grinch here! No one brings little kids around anymore, so what you get is teenagers. Opening up the door to random teenagers with hatchets in their skulls is not my idea of fun (or safe). 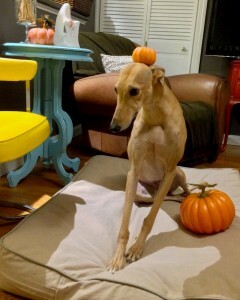 #2) Frugal Hound is the most adorable ballerina EVER! I give my permission to tell her that. But she already knows she’s a STAR! #3) Scariest Finance Thing: Bankruptcy! BOO! My 3 year old is wearing one of my homemade costumes from when I was little. Frugal AND sentimental! Every time you post a picture of the Hound dressed up, I am amazed that you get her to do it. I love the ballerina set up, especially the leg warmers. I miss wearing leg warmers! There really isn’t much in finance that scares me because I know that everything that is done can be undone eventually. It just takes time and focus. So maybe the thing that scares me the most is people who avoid working on their finances. The leg warmers were so big on her little spindly legs! I’d hoped they’d fit a little tighter, but alas, that’s what you get when you put human clothes on a hound :). Great point about the ability to undo mistakes and problems with time. So true. OH MY GOSH. That is so cute I can’t even take it. Hound should meet my parent’s dog, Bella. Bella LOVES to dress up. She pulls out her sweaters from the closet so we can put it on her!! Thank you! I can’t say Frugal Hound loves to dress up, but, she tolerates it :). Very cute that Bella enjoys it! Smart dog! 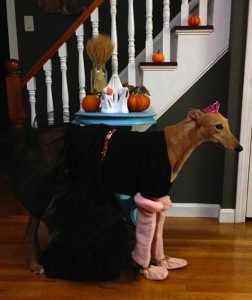 Great costume, Frugal Hound. The good thing about having a young kid is all the free Halloween stuff. We did the city trick or treat, which is always the Saturday before Halloween where the down town business give out candy. Then, this might be awful, but we give that to trick or treaters and let our daughter get new candy by trick or treating on Halloween. She actually enjoys the gathering and sorting of candy better than eating it. If we kept it all, I’d still have stuff from last year. I like going to a haunted house during Halloween to be honest… It’s just interesting to me to see the creativity of the organizer to scare us. I usually go to the ones owned by local businesses because they’re usually inexpensive but still fun. I think I’d be too scared to go through a haunted house! I don’t do well with scary movies, either. I can handle “The Shining” but that’s about it! 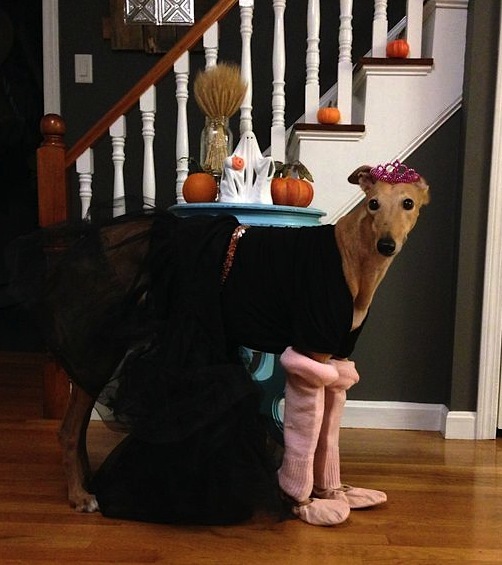 Love Frugal Hound’s costume! Although I’m not dressing up this year, I find that my favorites has always been ones I’ve DIYed instead of those expensive ones you can buy at the store. Creativity is all part of the treat! Absolutely! I definitely think putting the costume together and making what you need is part of the process and the fun. It’s what we did growing up and I can’t imagine it any other way. Thanks for stopping by! FH should go on American’s Next Top Dog. She? He? Poses so fierce! I decided not to even buy a pumpkin this year because I ended up buying a little bit of candy, although two friends are now coming over with candy too so we should have plenty. On a slightly different note, I caught an episode of Pioneer Women on a flight once, and had to laugh at how she had all this fancy dinnerware and decorations and place settings. Is that what it’s really about? No wonder we feel pressure to spend. We somehow feel we are lacking if we don’t have this fancy dinner party. Is the company of good friends not enough? I know, I’m preaching to the choir! Scariest finances thing? Consumerism zombies. We’ve all been one, me included. I’m hoping I’ve cast it off for good and hope I don’t get bitten again. Frugal Hound is a very patient girl. Mr. FW and I have the dress-up system down to a science. We had her in and out of the costume with all photos taken in about 5 minutes :). After that, she starts to get antsy. Consumerism zombies are definitely scary!! I made the mistake of coming to work today without a costume. I ended up with a headband with purple and black tube hair placed on my head by a co-worker who brought “extra” halloween accessories. Haha! My office didn’t dress up at all for Halloween. I did wear a black shirt, but, that was about it. Yours sounds much more festive than mine! FH looks great! What a star! My husband and I are headed to a costume wedding tonight and I’m super excited! A costume wedding–wow! That sounds like fun! I love dressing up, so that’d be right up my alley. 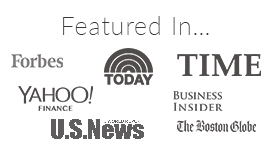 First time I ventured in to your blog and loved your writing style. Also loved your hound and the ballerina dress. My most scary financial horror was putting a huge money on a single stock which ultimately dissapearred from the scene in 2008, it was WaMu. Thank you so much, I appreciate it. I’m so glad you found us :)! Oh no, that’s a pretty bad financial horror! Frugal Hound would rather be a nudist ;)! I won’t be dressing up my dogs for Halloween as they won’t cooperate 🙁 But I did dress up for a party last week and only spent $6.47 (plus I can re-use my wig). I’d call that a win! Your costume was a total win! Cute, creative, and cheap! FrugalHound was born to dance! Haha oh my that costume is definitely over the top! I agree with you about being able to celebrate holidays a “third way” that is a good balance between overspending and not celebrating. The scariest financial thing I can think of is finding out that you have to fix the foundation of your house. While there may be warning signs, there isn’t much you can do but “fix it” and that’s a $20k+ job for even a modest home! Oh foundations–that’s a scary one. And, you’re right, it’s not like you can ignore it or cheap out on it! 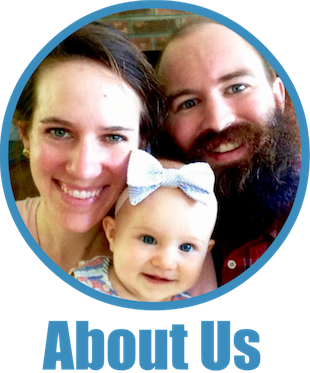 A great example of why a hefty emergency fund is always a good idea. Frugal Hound is so cute! 🙂 we’re not doing much – we have some candy to hand out if necessary but other than that, we don’t do anything for it. Halloween isn’t as big in the UK as I think it is in America. I think Halloween didn’t used to be as big here, somehow it seems like it’s gotten out of control in the last few years. I do enjoy it, but, the amount of money people spend on it seems absurd. We went to the farm today to buy a pumpkin, so we’ll be carving it and roasting the seeds, then we’ll go trick or treating with the Little Miss and her tiny pillow sack. My mom gave her a My Little Pony costume, so we’re all set. Not very spendy or flashy, but I think we’ll enjoy it. Sounds like a great Halloween! We haven’t roasted pumpkin seeds in years… maybe we’ll get some discount pumpkins and do that this weekend. Thanks for the idea! Your dog has a cooler Halloween costume than I’ve ever managed for either of my kids! My mother-in-law mailed them brand-new costumes; I had already bought some at a fall consignment sale, so… dress-up time! Unlike (I assume) dogs, toddlers like to wear costumes just for the hell of it. I could have bought them one-dollar pumpkins to trick or treat with, but because I’m cheap, I got them TWO for a dollar at Goodwill. And later we’re going to do an art project which involves using potato halves and one’s own thumb to make a painting of pumpkins. Sounds like a fabulous Halloween! Dogs definitely do not like to wear costumes :), though this one tolerates it. Two for a dollar at Goodwill is my kind of sale! Nice! Love the art project idea too. We’re going to a holiday-themed Halloween party tomorrow as “Cyber Monday” and “Black Friday” wearing Friday and Monday shirts, and crowns made of old credit cards. I also celebrate by giving out full size candy bars to trick-or-treaters. We never get more than a dozen kids, so the kids who put in the work to walk around our mixed-use downtown area get a big payout. Very clever costume idea! Love it! I’d come trick-or-treat at your house–yum. Ballerina Hound! That’s really a cool idea. Perfect for the Halloween. There’s a lot of costumes I have seen like Maleficent, Cinderella, and a lot more. But, yours is one of a kind. Hope she’s having a good Halloween! That costume is awesome. You should come out with a line of Frugal Wear for dogs. The scariest money thing — hmmmm — I think would be zero household income. Cash flow/income is the foundation of everything and zero income would impact every single part of our financial picture. Boo- Eek – now I am scared. Have a great Halloween. Ooo yeah, nothing coming in and no investments would not be good!! 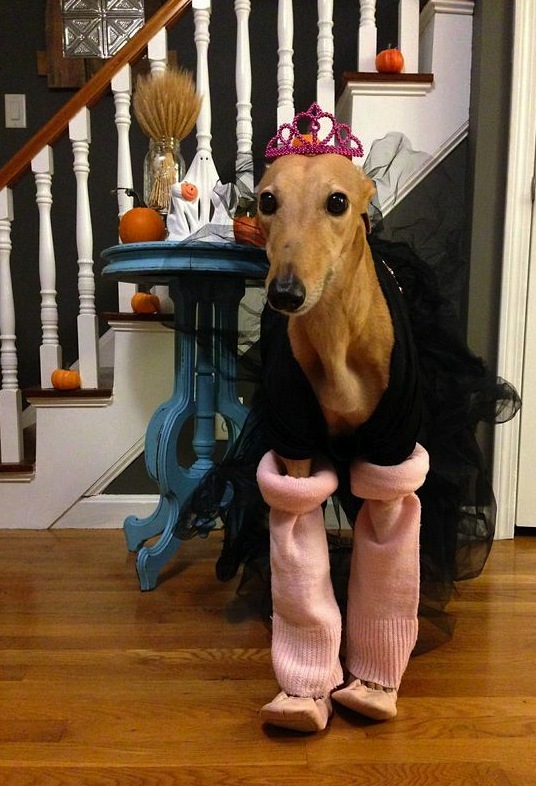 Frugal hound is so cute in her costume! But she looks a little concerned. We don’t dress our dogs up – they are seniors and not to be messed with. Our first dog had a bunny costume but she got over it really quickly. We went to our neighborhood block party where we saw THREE greyhounds dressed in tutus. Was there a memo? Yours is both the best and the most elaborate, though. No one else thought of leg warmers or tiaras. We all dressed as construction workers (our three year olds idea) with reflective vests and hardhats borrowed from my husband’s office. Cheap as free! Three greyhounds in tutus?!! OH my goodness! How cute. Construction worker makes a great costume–even better that it was free. Well done by your three year old! FH’s costume is adorable. Love it! We didn’t do anything too wild and crazy for Halloween, had dinner and drinks at our neighbor’s. Scariest thing I can think of is student loan debt! Student loan debt definitely ranks up there for scary, no doubt about it. Glad you had a good Halloween! We ended up hanging out with our neighbors too, which was lovely. Love the ballerina costume and find it ironic since you’ve said she’s not graceful at all 😉 gotta live out your dreams though! Haha, thanks! She was so awkward in the costume… poor hound :)! 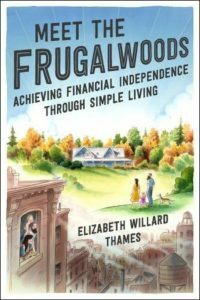 Frugalwoods…how did you get 32 comments after only 6 months blogging?! Tell us your secrets. I just checked your Pinterest since that seems to be the go-to in 2018 and you stopped pinning three years ago and even then nothing like what bloggers are preaching these days…what was the hot tip in 2014 to getting readers. This post is more akin to what I like writing about.